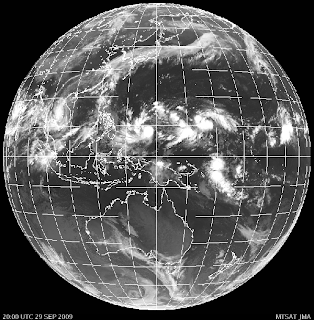 There are two stors brewing out in the pacific. They should not hit us here in Okinawa but we continue to pray for everyone's safety. The good thing, they do bring a lot of needed rain and they cool down the temperature. 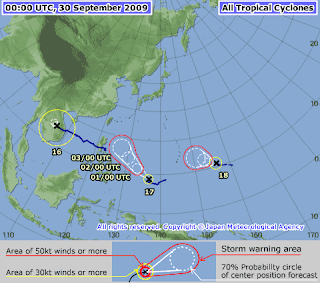 We are still in typhoon season until the middle of October, but we have had them as late at December. Sosimo, Nick and Pastor John Bonner are here pictured at the Dead Sea in Israel. They have Dead Sea mudd plastered all over their bodies. This is real healthy for you as the mudd has some good skin healing agents. Please continue to pray for these guys, hopefully the next blog entry, these guys will be a lot cleaner. The Semester is in full swing and you can feel the study bug in the air. Everyone is into their books, reading the Word, listening to Chuck Tracts. Ahhhh, investing in the Kingdom of God. The guys got together for some fellowship at Camp Foster; Bowling. Usually we get together for a Bible Study at Trevor’s house, but this week they planned this special outing. The guys had a great time, a blast. Thanks guys for planning this great event. Don't be late to the van, this might happen to you. We are on the go, on the go, yes, on the go. We got places to be, people to see, things to do. We are rockin for Jesus! Hey! Is that Phil Joel? No! That is our very own Tom Cotton. His hair is rockin! For some of you who do not know who Phil Joel is, he was a band member of the former Christian Group “the newsboys”. Do you remember that Group? Phil Joel went on to make his own hit CD. The Bible College group are standing on and in front of the World’s Largest Shishi dog in the world. This dog statue, is actually a lion dog and is supposed to guard your house against evil spirits. No chance man, we have the Holy Spirit to protect us. My camera was giving me a little trouble, but the pictures still look great. Cape Zampa was also famous during WWII because it was here that the American Forces first landed in the Battle of Okinawa. In this bottom picture is Suicide Cliffs. It is here that during the war, the peasant Okinawans committed Suicide instead of surrendering to the American Forces. They were lied to by the Imperial Army. To many of the Okinawans, the American GI’s were heros at that time. 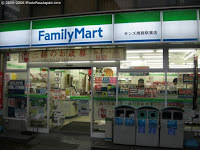 Kayo also stated to me that on the internet this place is still used for group suicides. Please pray for us to be able to reach these people who feel that they have no hope. Look at the Joy of the Lord that these girls have in the upper picture. Izak tried to get into the act, but we booted him out. Don’t worry mom, they are perfectly safe. Just a few bats here and there (just kidding, no bats at all). You might think so the way that Anna looks, she was a little afraid, but she did great. The story behind this cave; During WWII, over 1,000 Okinawan people were hiding here. A Japanese, Hawaiian American soldier risked his life and encouraged the people to come out of this cave. He did not know that there was over 1,000. He was a hero. Hollywood actually made a movie about his life. We all had a good time in the cave (check out Michal’s face). 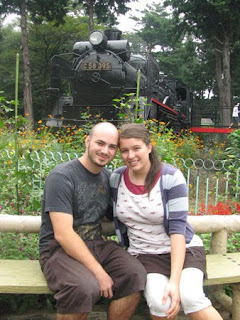 This is one good looking couple. Don't they look Marvelous! Aren't they wonderful! (that is a little exerpt from a past marriage retreat, some of you will know what I am talking about). But seriously, just looking at them makes you proud and miss them at the same time. They are both doing great in Tokorozwa and we couldn't be happier. God bless you Amber and Rusty we all love you so much. The home of Tamiko Murakami. We started our day off (three van fulls) heading to the caves, then the light house and finally some swimming. Check out the studiers, even though we are driving, they still make time to listen to their Chuck Tracs. Go for it guys. This guy is simply awesome! Recently Hallelujah won an English speech in which he was up against some good competition. First place for our buddy! Lujah attends Calvary Chapel Okinawa, and we know that they are so proud of him. Great job bro! We all love Valerie so much. We are going to miss our dear sister as she heads back to the states. Val has been so busy while she has been here in Okinawa. There have been numerous deployments, and different assignments. She has come and gone often, but you always knew she was coming back. We love you girl, may the Lord continue to lead, guide and direct your paths. God bless you bro, it is a bummer to see you leave the island. We are all going to miss you so much. It reminds me of the time that Captain Mark Davis left the island (Keegan’s Dad). He was such a blessing to all the students. I don’t know how many times the students got hurt and you bandaged them up (literally). Thank you Ira for all the blessings. For the rest of us, please leave a comment on how Ira has blessed you, and or how Ira “patched you up” with his medical skills. Ira will be leaving Okinawa this Sunday and then Irma and Izak will be leaving Wednesday. They are heading back to California. Ira's tour of duty on Okinawa has come to an end. We are really going to miss this family. We are blessed that Ina and Iza (in Korea) will be staying until the end of the year. But before Ira finished up on base, he was given a special award from the Navy. It was given in recognition of his great service while on island. Personally I have seen Ira go way beyond the call of duty and serve his country whole heartily. He did things that I know others would not have made time to do. Thank you Ira for being such a great witness here on the island. A wonderful witness for Jesus Christ. We are going to miss you bro, we love you so much. The Ginowan Youth Group hosted a cafe night at the Koinonia Cafe. The showed videos, led in worship, different groups performed and had all kinds of baked goods and coffee drinks. It was a real good night. We are looking forward to what the Lord will do with this in the future. Great job Ginowan Youth. We took a trip up to Kakazu Ridge. At Kakazu there is an Military Pill Box that the Japanese soldiers used to battle in. You can still go down into it and get a “bird’s eye” view of what they saw. The brave one’s ventured in. As you can see, most of the “brave one’s” were the girls of the bunch. This semester is going great. We are at the 4 week mark, that means that 1/4 of the semester is finished. They say “time flies when you are having fun”, that is so true. We are blessed with this great bunch of students. Please continue to pray for them all. It is always a blessing to gather together in the morning spending time in worship and hearing from the Lord. Ina always does a great job in leading us in worship. 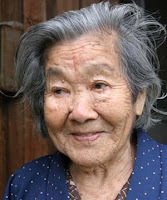 Maybe you have heard; The oldest woman alive now lives in Okinawa. Recently it has been posted that the oldest woman alive is 114 years old. Her identity is being kept a secret because they do not want her bothered in her resting home. They say she still stays active in exercise and takes her time getting around the home. This is not a picture of her, but this is an Okinawan Grandma. It is a blessing living in Okinawa, fresh air, clean water and healthy food. All this mixed together brings the ingredients for a healthy body, so long as you stay away from McDonalds. They say all good things have to come to an end, well that is true for our visit to the island. It was time for us to get back to Okinawa. 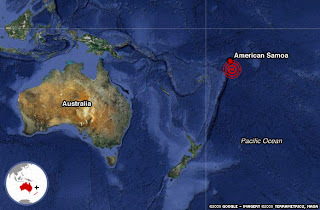 We were able to get a lot of studies done, as well as encourage our brother Izuru on the island. The house is looking really good. We hope to use it as a place where people can come and relax, spend time with Jesus and be encouraged. We look forward to our next visit, Praise the Lord! We were climbing to the top of the ridge to get a better look at the stars when all of a sudden we ran across this critter in the middle of the path. It frightened us, at first we thought that it was a spider, but with closer examination with our flashlights, we recognized that it was a crab. It was the size of our hand! Creepy little critter. If you click on the pictures you can get a closer look. But the stars were so beautiful, you could see the Milky Way Galaxy so clear, simple beautiful!